Kat is Director of Resourcing at Thales Australia, a global technology provider servicing the Aerospace, Space, Ground Transportation, Defence and Security Markets across 56 countries. Combining a unique diversity of experience, talents and cultures, our team of 64,000 people design and deliver extraordinary high technology solutions. Solutions that make tomorrow possible, today. From the bottom of the ocean to the depths of space and cyberspace, we help our customers to think smarter and act faster – mastering ever greater complexity and every decisive moment along the way. Kat is responsible for defining and delivering resourcing strategy for Thales Australia, spanning apprentice, graduate, permanent, executive search and contingent hiring. She leads a team of business partners to deliver day-to-day hiring, as well as providing thought leadership, strategic resourcing experience, market intelligence and talent insights to Thales’ business leadership teams. Kat is ultimately responsible for ensuring that Thales Australia has the right talent, in the right place, at the right time. 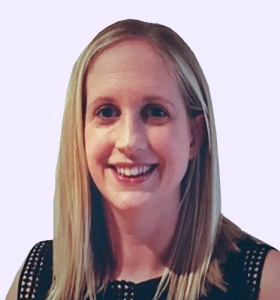 Kat has spent the past 17 years in Resourcing both in specialist agency and corporate environments, speaks 3 languages and has lived and worked in 4 countries. She is passionate about the difference great Resourcing can make to an organisation: the ability to attract, hire and retain game-changing talent has been proven to be the ultimate differentiator in the success of a business.